This form should be used for recording hours for volunteers for scheduled reoccurring jobs such as Fee Collection, CPC Committee Work, Scheduled Shifts at the Visitors Center, Camps and Educational Programs. 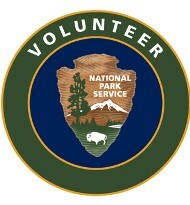 Please try to use the standard Volunteer Hours form whenever possible. Visitor Center Host	Facility/Grounds Maintenance	Educational Program	Youth Programs	Chattahoochee Parks Conservancy	Administration	Fee Collection	Other	 This is the primary work performed during this outing.